I’ve always been interested in scent, but I’ve been pretty obsessive about how things smell over the course of working on the GQ series. It is mentioned many times in the GQ books that Martin smells of vetiver. I have a bottle of it on my desk and I periodically dump some out onto a cotton ball so I can write while smelling what Henry loves to smell. Arid, woody, sensual rustling grasses. I go through phases of being obsessed with the need to smell it and then being content to smell other things. Right now I’m into frankincense and champaca flower. I don’t ever say what Henry smells like, but he’s definitely not odorless. I became obsessed with rose scents about a year ago and auditioned dozens of fragrances. Yay for decant shops! 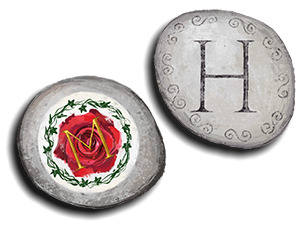 I thought I was trying them for myself, but over time it became apparent that these were something Henry wanted–along with all the bouquets I bought (there is a very dead one in a vase on my desk as I type). Like many flower perfumes, rose was definitely a men’s scent in 1900. You may have noticed that flowers have been returning to contemporary men’s fragrances over the last few years, as well. I read a description of a Penhaligon men’s fragrance from the era (Hammam Bouquet) that read exactly how I wanted Henry’s Uncle Reggie to smell. I ordered a sample of it and was practically vibrating with excitement waiting for it to arrive. Of course, nothing could have been as good as I anticipated, but it was very disappointing to have it end up smelling like especially soapy soap. Whatever. I have the correct smell in my head, and eventually I’ll find the cologne that goes with it. As I have mentioned elsewhere, I’m writing a modern story with H&M, and in fact I do have their colognes picked out, though I’m not sure I’ll ever refer to them by name in the book. But for the record, modern Martin wears Chanel Sycomore and modern Henry probably wears L’Artisan Voleur de Roses. Vetiver-heavy Sycomore is supposedly a women’s fragrance, but I’ve tried my sample on both the Mr. and myself and I prefer it on him. Voleur de Roses is unisex, heavy on the patchouli and faint on the rose, and I liked it enough to buy a big bottle. The Mr. and I take turns wearing it when we go out, though I usually augment mine with an additional blast of Sonoma Scent Studio Velvet Rose. With decants, it’s sometimes a lot to pay for a little sample vial of cologne, but since some of the things I’ve bought decants of cost ~$300 a bottle, it’s definitely worth spending $5 to see if I like them at all. I wish there was some way to share scent electronically. I would LOVE to offer an olfactory extra for the series.